Welcome to Queen West Animal Hospital! Your local veterinarian in downtown Toronto. We’re pleased to provide a wide variety of veterinary services for our clients in Queen West, Trinity Bellwoods, King West, Dundas West, Liberty Village, Roncesvalles, Niagara, Little Italy, Lakeshore, Parkdale and the downtown core! As a client of our veterinary hospital you can expect our full attention to your pets’ needs. When you arrive for your appointment, you will be greeted warmly and represented by a dedicated staff member throughout your visit. You will first meet with our amazing reception team to check in. Next, you will be assigned a Registered Veterinary Technician who will begin with questions on your pet’s health and gather any necessary data and laboratory samples. A veterinarian will then examine your pet, answer questions and formulate diagnostic and therapeutic plans with you as necessary. The technician will finalize your visit, provide you with further educational information as necessary and answer any remaining questions. We believe our customer service focused approach to client and patient visits is what sets us apart from other veterinary hospitals. Feedback from clients continues to support this belief. Book your appointment now, or please feel free to contact us if you have any questions on what to expect when you visit Queen West Animal Hospital. We look forward to meeting you and your pets! Queen West Animal Hospital is located in the heart of the Queen West neighbourhood in downtown Toronto. Owned and operated by Drs. Paula Fisher and Scott Mathison, the clinic offers a wide range of on-site services from wellness exams, medicine, dentistry, dental radiology, surgery, pharmacy, radiology, ultrasound, in-house laboratory, vaccinations and nutritional consultations. After nearly two decades next door, we’re now located fourteen feet away at 931 Queen Street West. We have added many new and exciting services to our new facility, as well as expanding the size of our hospital from 1500 to 4000 square feet. Our biggest news is that Queen West has added Animal Haus, a phenomenal overnight boarding facility for both dogs and cats! Queen West prides itself not only on its medical and surgical care for your pet, but also its customer service. We treat your pets as if they were our own. On the right side of this screen, you will find contact information and hours of operation for our hospital. Please contact us to make an appointment or take a tour! Queen West Animal Hospital is equipped and prepared to handle emergencies during office hours. If an emergency should occur during these hours please call us first at (416) 815-8387. If we are closed or not responding to your call, please call The Central Toronto Veterinary Referral Clinic at 1051 Eglinton Avenue West at the Allen Expressway. Their phone number is 416-784-4444 and website is www.ctvrc.ca. A second option is the The Veterinary Emergency Clinic at (416) 920-2002. They are located at 920 Yonge Street. The main entrance is on McMurrich Street, just north of Davenport and one block west of Yonge. We strive to make a visit to our animal hospital as easy and carefree as possible. As a result, we are pleased to offer a few client amenities that are not normally offered at most veterinary clinics. Parking. QWAH is one of only a few downtown veterinary facilities with dedicated client parking. With six client parking spaces available at all times, there should always be a place to park at our hospital. The lot is located on the Strachan side of our hospital, just a few feet south of Queen. Coffee. We are pleased to announce the introduction of a Jura superautomatic coffee machine to our waiting room experience at our new location. Clients can choose from a cappucino, Latte, Espresso, Americano or tea while visiting our animal hospital. Additionally, all hot beverages are served in cups made from 100% recycled fibers! Wifi. Clients have access to complimentary wifi throughout the building at our new location. Please ask our reception staff for info upon arrival. Cell Phone Charging. A cell phone charging system for most common models is located in the lobby area of our new location. Additionally, staff will happily charge phones for clients at reception while they are in appointments. Home Delivery. All QWAH inventory items except medications (and many items not available in store), are available at our online store with a home delivery option at https://www.myvetstore.ca/queenwestvets. 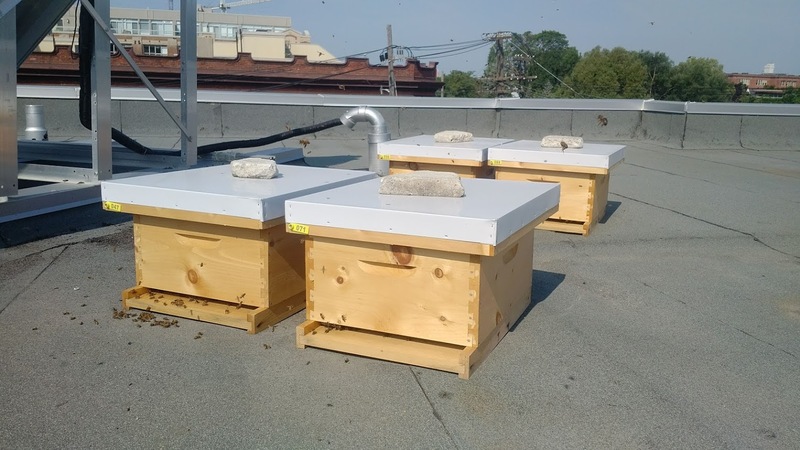 Queen West has partnered with Bee Local 416 to provide rooftop space for urban bees. Our bee hives are hosted by Bee Local in the interest of biodiversity within Toronto. We’re doing our part to save the bees! 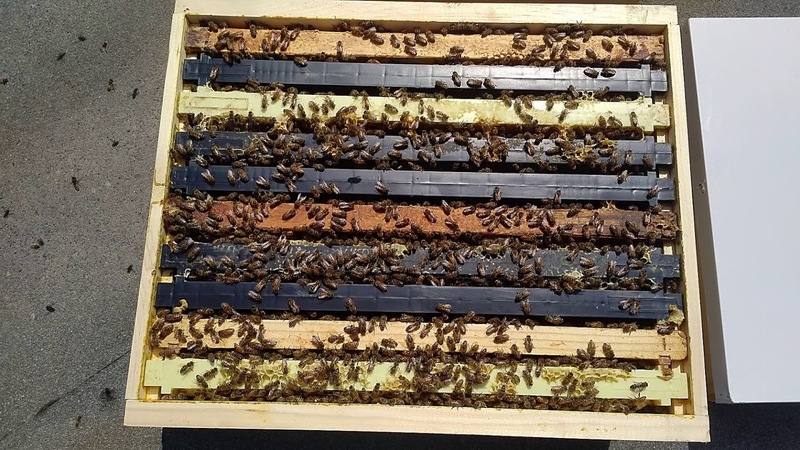 With a registered beekeeper to manage the colony, hosting bee hives allows us to bring these gentle pollinators to the Queen West neighborhood. Yay for bees! 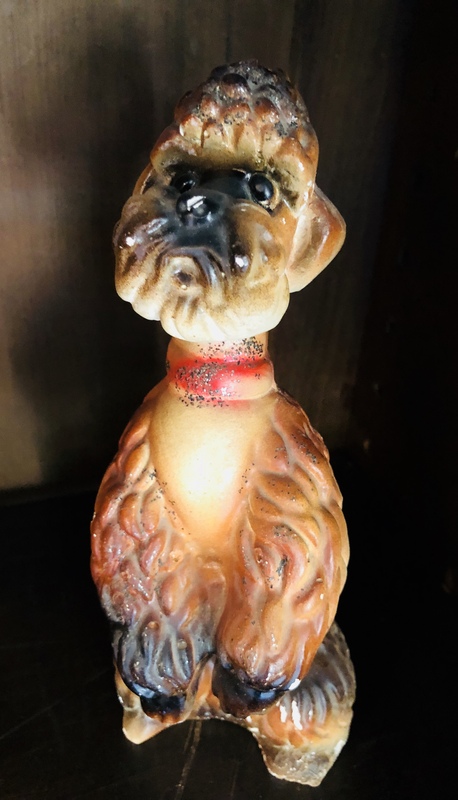 Even if you don’t have a pet, come check out our extensive collection of dog and cat chalkware, or ‘carnival chalk’. 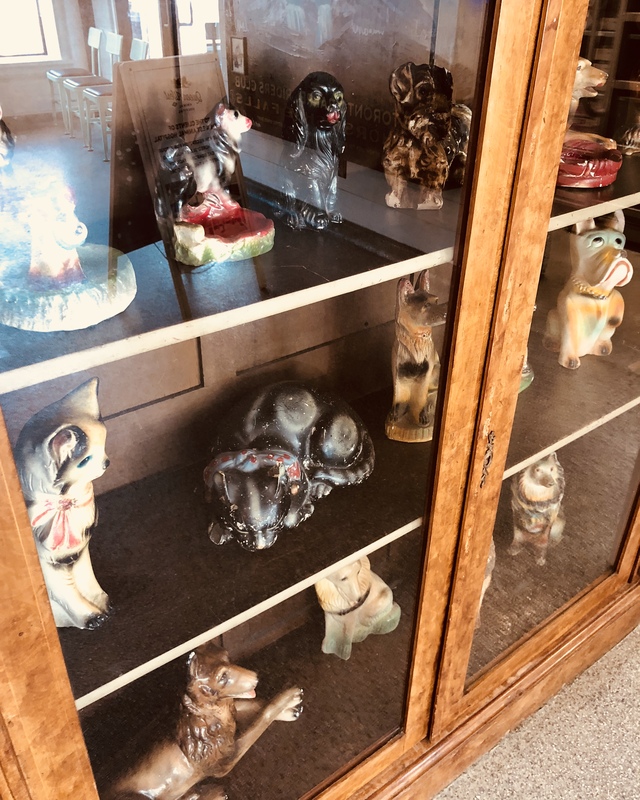 Our collection currently numbers around 60 pieces and we’re quite proud of the strange little creatures. The collection was the brainchild of our designer, Sarah Littlefield of Seattle Junk Love. She shipped in our originals from the flea markets and garage sales of the Pacific Northwest and we’ve run with it from there. Carnival chalk refers to figurines either made of moulded plaster of Paris (usually) or sculpted gypsum, and painted, typically with oils or watercolors. 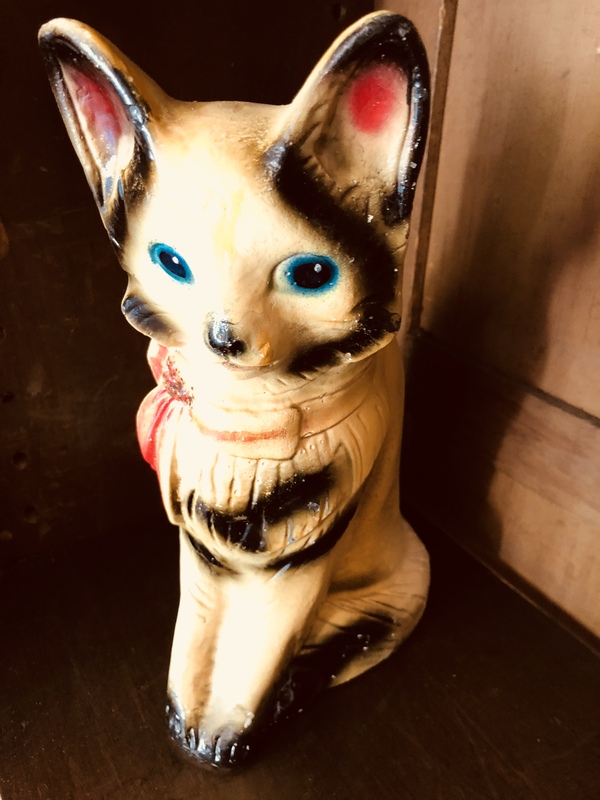 They were given out as carnival game prizes during the first half of the 20th century, especially during World War II, but were later replaced by stuffed animals.